We know that moment all too well — you’re having a great conversation with your friends and you happen to catch a whiff of your breath. It’s hot. It’s stinky. It’s gross. You don’t want your friends to find out, so you pop in a mint and hope for the best. Having a case of bad breath is never fun. Luckily, in most cases, we know the triggers. For instance, eating garlic and not brushing your teeth are obvious reasons — but there are a few bad-breath culprits that aren’t so well known. 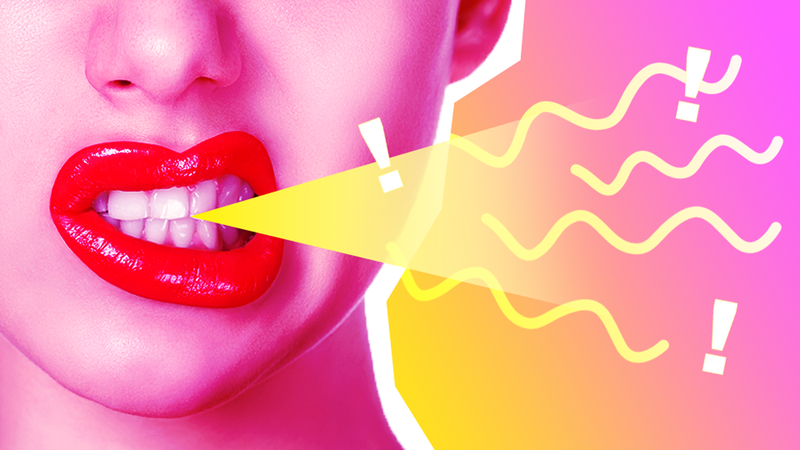 Check out these surprising reasons for your stinky breath, and find out how to solve them. The National Center for Biotechnology Information reported that 75 percent of patients with high amounts of sulfur (which is a leading cause of bad breath) in their mouth had tonsil stones. According to the American Chemical Society, the sugar in mints can make the bacteria in our mouth grow. Mints and breath fresheners are great for temporarily masking bad breath, but not for the long run. If you must use mints, opt for the sugar-free type. And as Lowenberg suggests, use a tongue scraper to get hard food particles that can cause bad breath. According to Reader’s Digest, while a breath of fresh air is certainly good for you, too much cold air in the winter dries out your mouth and can wreak havoc. The result can be bad breath related to allergies, nasal drainage or chronic dry mouth. If you have a sore-throat disease, you might have an ongoing case of bad breath. According to the American Academy of Otolaryngology, tonsillectomy, a surgery that removes the two glands in the back of your throat, can help treat the sickness and bad breath. According to researchers from Tel Aviv University, the more overweight a person is, the more likely they are to have bad breath. The team discovered that obesity may be a risk factor for halitosis and may be because of sleep apnea, heavy breathing or eating lots of unhealthy foods.